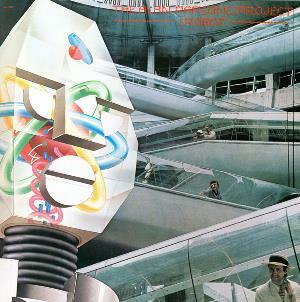 Following up their impressive debut from the year before wasn't an easy task but with "I, Robot" The Alan Parsons Project did a damn good job of it. The smartest thing Parsons and Woolfson did was to avoid attempting to make an imitative sequel and to boldly create cutting-edge music that was in many ways even more progressive by utilizing state-of-the-art synthesizer technology and generally expanding their horizons. The result was their first platinum LP due in no small part to a more radio- friendly approach on a couple of tracks and the resultant top twenty single that gave them much-needed visibility in the marketplace. The instrumental title cut features a lengthy, mysterious fade in that shows they were willing to patiently take their time in setting up the futuristic premise. Even the drums take a few loose bars to gel with the programmed keyboards before the groove locks into place and the piece starts building layer by layer, adding a huge chorale and unusual but delightful bell effects along the way. "I Wouldn't Want to be Like You" begins with what always reminds me of something lifted from a secret agent flick soundtrack but maybe that's just me. I can forgive them for employing the dreaded disco beat here because when they recorded the song that vile scourge upon the music industry was still in its adolescence and no one knew it would demonically devour enormous bites of creativity for the remainder of the 70s. On the up side the tune has marvelous put-down lyrics delivered with gleeful vengeance, Ian Bairnson's ever-tasteful guitar stylings are a treat and the fact that the single ascended to #16 did wonders for sales of the album. Mission accomplished. "Some Other Time" is a full-bodied pop ballad that has fluid 12-string acoustic guitars, lush orchestration and a memorable melody. "Breakdown" can't help but sound like The Hollies to me because of Allan Clarke's inimitable vocal tone that characterized so many of their AM Top 40 hits in the 60s. Don't get me wrong, that's not a bad thing at all. As a matter of fact, one of the best things about this album is that so many of the numbers change/evolve as they go along and this tune serves as a great example of that when the cavernous "freedom" chorus and underlying symphonic score come in toward the end. Very cool. A lone vocal accompanied by a beautiful church organ starts the well-written contemporary ballad "Don't Let it Show" that also transitions into something much larger in scope with a driving rock beat and luxurious orchestration making a delayed entrance. "The Voice" has a psychedelic opening feel and an ominous, warning vocal before changing into a dynamic instrumental that resembles my favorite aspect of The Temptations' "Papa Was a Rolling Stone" with very up-front, punctuating string interjections and soulful handclaps. While much of APP's later material could fairly be judged as blatant rip-offs of other genres, this one is so thrilling that it stands on its own despite the comparison. If anything it's a loving tribute rather than mimicry. The cosmic atmosphere continues with the excellent "Nucleus" as deep-toned synthesizers and some deft drumming create a soundscape not unlike what Weather Report was exploring at the same time. It's totally unexpected. The calming "Day After Day (The Show Must Go On)" is what I refer to as Pink Floyd "lite" in that it has a dreamy aura surrounding a pretty much straightforward ballad but it lacks that classic band's distinctive charisma. No surprises, in other words. The most progified moments come during the other-worldly "Total Eclipse," an eerie mix of ultra-modern chorale voicings and an avant garde symphony score that was obviously influenced by the neo-classical compositions of Gyorgy Ligeti whose music enhanced Kubrick's masterpiece of cinema, "2001 - A Space Odyssey." It's a brilliant cut. (If these guys would have continued to challenge their listeners in this way we all might be talking about what prog rock giants they were. Alas, they got seduced by the intoxicating power of the chart-topping single, instead, and that's a rotten shame.) They skillfully segue into "Genesis Ch. 1 V. 32," a more standard instrumental fare that does an exemplary job of melding guitars, synthesizers, a massive chorale and dense orchestration together. The extended fade-out leaves you wanting more, ever the sign of a quality record. In some ways I actually like this album more than their head-turning debut but they're both superb in their own different ways. This was the timeframe when Parsons and Woolfson were still producing the thought-provoking and intriguing progressive-tinged music that justifies them being on this site. What followed in the years to come was, with few exceptions, a gradual but steady decline into mediocrity and crass commercialism that forever tainted their reputation in my book. However, if you want to know what all the fuss was about circa 1977 with these studio artists then "I, Robot" will make an excellent addition to your prog collection. 3.8 stars.